Here's what Cardi B looks like 3 weeks after giving birth! 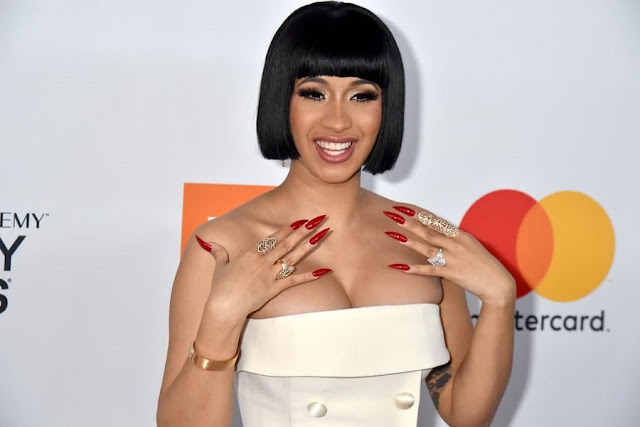 Cardi B gave birth to her daughter Kulture Kiari Cephus three weeks ago, and the rapper just shared the first photo of herself post-childbirth. 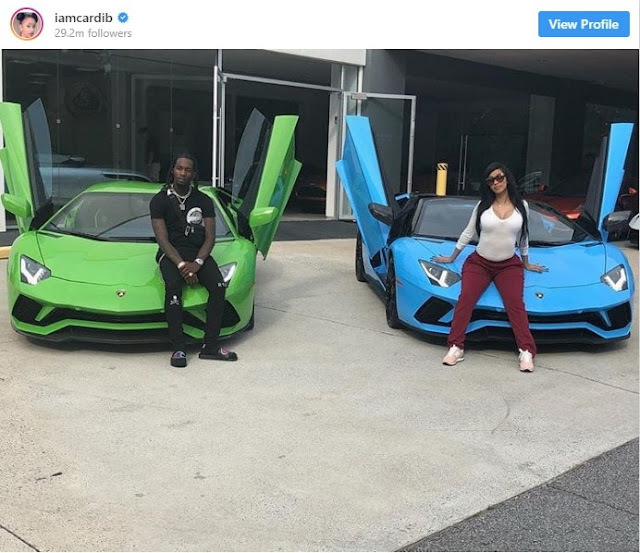 In the photo posted to Instagram, the new mom can be seen perched atop a brand new blue Lamborghini with her husband Offset, who has a green Lambo of his own. Many fans have reacted to the photo, saying Cardi looks amazing for a new mom. Though some not-so-courteous ones quickly utilized the opportunity to accuse Cardi of posing with a leased Lambo. The allegation got to Cardi so deeply that she was forced to share her bank statement to prove she actually bought the luxury car.